Cloud voice services, or VoIP technologies in general, can be efficient and cost-effective tools for many enterprises, but your basic network monitoring tools may not catch the problems underlying quality of service (QoS) issues. 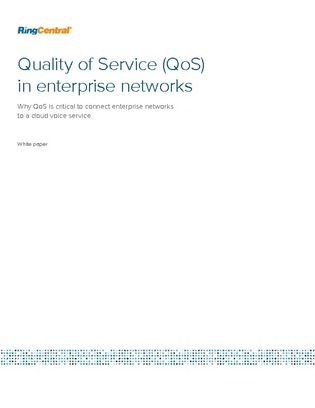 This white paper explores how to create and implement a QoS policy designed to ensure your network delivers optimal performance to your users. Find out how to manage high voice traffic on your network and learn how the different elements of your infrastructure – from endpoint devices and access switches to MPLS routers and firewalls – can affect QoS levels.